December 14, 2010  A man who allegedly pulled a gun out at a school board meeting in Florida was himself shot and killed by the school district's safety manager on Tuesday. December 10, 2010  John Pennekamp Coral Reef State Park has celebrated its 50th anniversary. 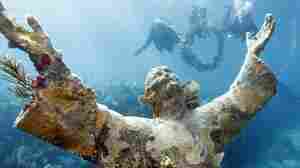 Located off of Key Largo, Florida, it became the nation's first underwater park on December 10, 1960. 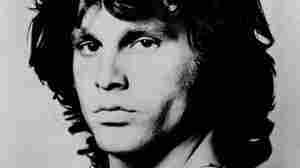 December 9, 2010  Florida's Clemency Board has voted unanimously to pardon rock 'n' roll legend Jim Morrison for a 1969 indecent exposure conviction. October 26, 2010  Two Democratic aides who drew GOP attention were fired by Harry Reid and Alex Sink. Florida Democratic governor candidate Sink fired an aide who texted her during her debate with Rick Scott. Reid fired an aide who married an immigrant. October 1, 2010  Fla. Gov. Charlie Crist says he would have run as an independent even if he had a 20-pt lead. The statement strained credulity since it's just not done. But the governor suggested that running as an independent was based on principle, not expedience. May 12, 2010  Florida gubernatorial candidate Alex Sink calls school by its rival's name during graduation speech. Public Service Announcement: Have You Seen This Bird? May 6, 2010  Residents of West Palm Beach, Florida are being attacked by this mystery bird. Please help the local police department identify it. November 19, 2009  Today's Talk: Khalid Sheikh Mohammed returns to NYC, Tom Ricks gives you a reading list, Ken Auletta talks Google, and modern indentured servitude in Florida's fields. October 9, 2008  Voting irregularities? Hopefully, not this time! Ohio's secretary of state, Jennifer Brunner, joins us to talk about how the state has prepared for the election on November 4th. May 22, 2008  What should happen to the Democratic delegations from Florida and Michigan? Is An Apology For Slavery Enough? April 7, 2008  On the Opinion Page: An argument that Florida's apology for slavery doesn't go far enough. March 6, 2008  How quickly people forget Ohio and Texas, today political junkies want to know: will delegates from Florida and Michigan be counted? Sunshine State, Here We Come! January 23, 2008  The political junkie talks feisty debates, South Carolina, Florida, and how likely you are to vote with your wallet.